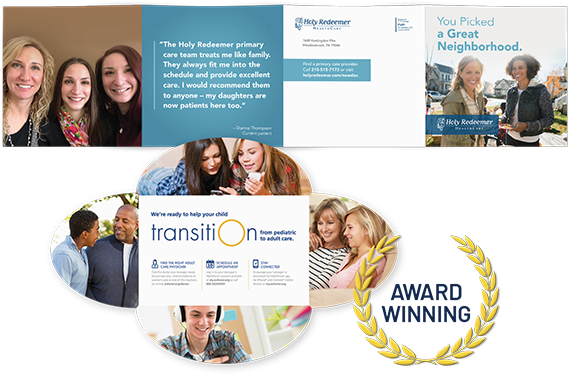 Every day, hospitals and health systems rely on Lightstream to help them increase patient volume, build their physician base, engage and educate the community, and communicate with employees while maintaining and building their brand. Scroll down to see the types of projects we complete for our clients across the country on a daily basis. 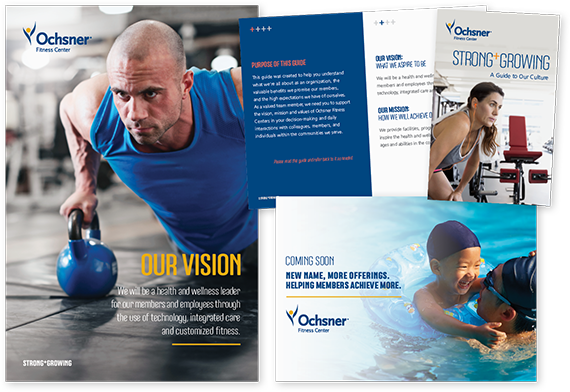 Communicate your achievements to key stakeholders with a well-written, visually appealing annual report. Take your brand to new heights with outdoor advertising that geo-targets a specific audience or strengthens a campaign. 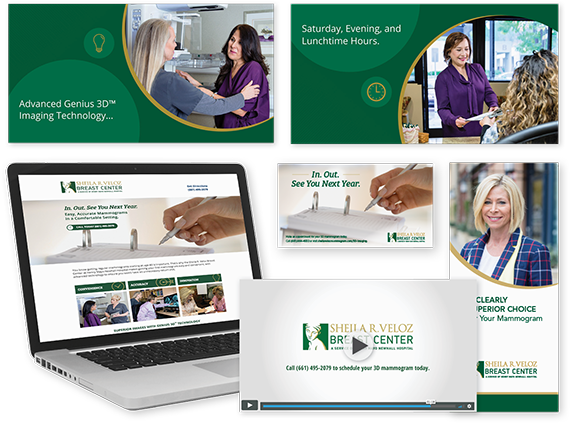 Does your brand need a slight refresh or a total rework? Let our brand exploration process provide the answers and increase your brand equity. 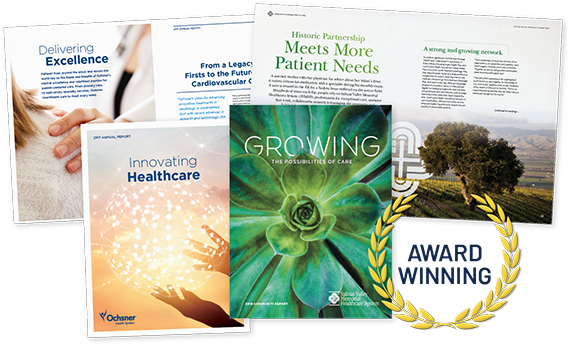 Equip your business development team with benefits-focused materials that support your sales strategies and bolster your brand. Rely on our writers to develop custom content that positions you as a trusted resource for valuable information – deepening relationships and increasing volume. 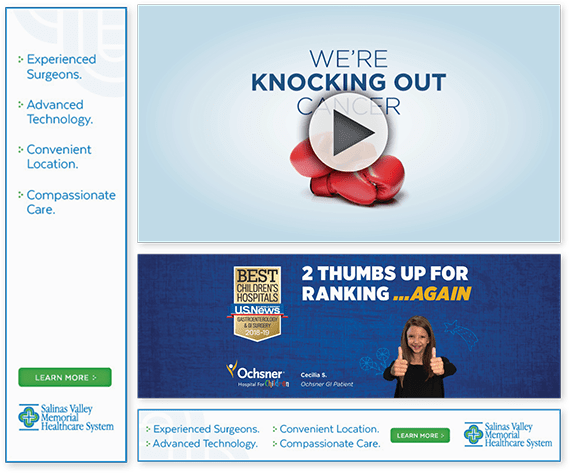 Increase patient volume with targeted, data-rich SEM, display, remarketing, Facebook, and LinkedIn advertising campaigns. I have had a relationship with Lightstream for 4-5 years and counting. When I moved from one health system to another, they are one of the relationships that I maintained. I appreciate the fact that they know the industry, understand our business objectives, can craft messages that resonate with our varied target audiences – both internal and external – and support our brand positioning. It is a great benefit to me to have a reliable partner that functions less as an agency, and more like an extension of our team. Over the years, my staff has relied on Lightstream for a wide array of projects and they always bring just the right skill set. Importantly, the team brings value; costs are exceptionally reasonable which helps us stretch our budget. 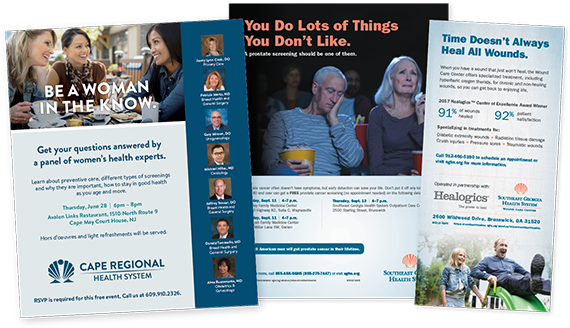 Boost your ROI with strategically sound mailers that generate responses by clearly communicating the benefits of your service lines. 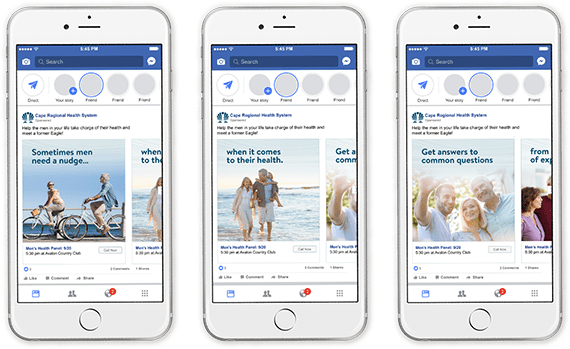 Create and execute multichannel campaigns with components that attract attention and integrate to leave lasting impressions. 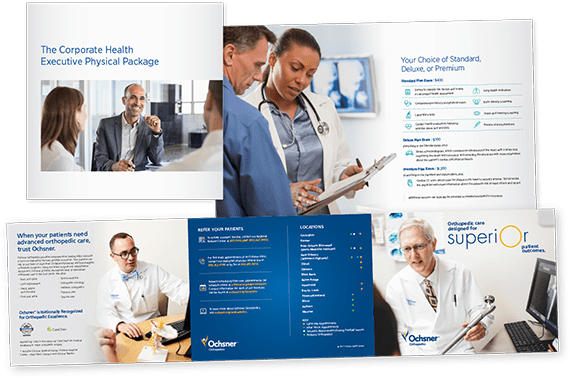 Promote your affiliated practices and increase patient volume with materials that explain treatment options and communicate important information. 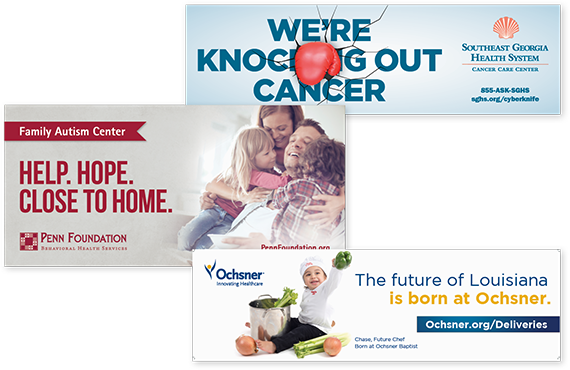 Inspire giving for good among community donors and employees with impactful messaging and informative, visually appealing proof of your programs’ progress. 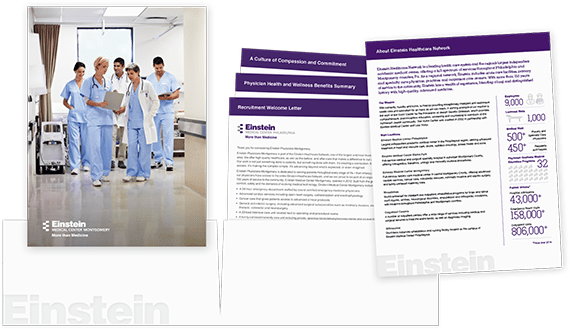 Help new physicians feel comfortable and be more productive faster by communicating key points about your culture, structure, processes, and procedures. 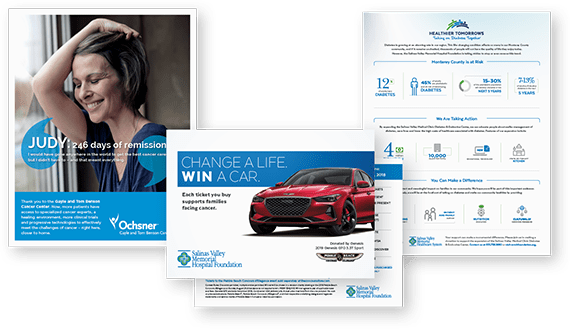 Increase brand awareness and attract new members with print campaigns that clearly communicate the benefits you offer. Cut through the static by speaking directly to your target audiences during the times of day when they are most receptive. 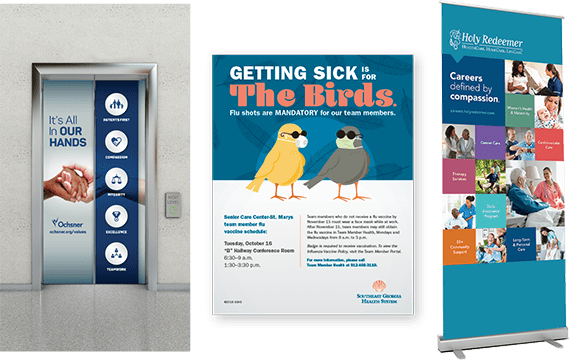 Communicate with patients, physicians, and staff inside and outside your buildings with professionally designed signage that complements, not detracts from, your brand. 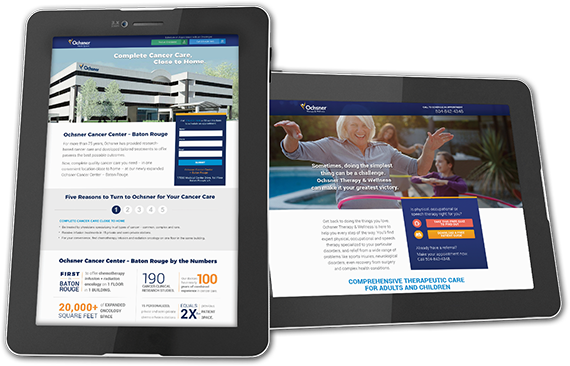 Strengthen patient relationships with thoughtful content and responsive social media management. Attract new patients with Facebook and LinkedIn advertising campaigns. 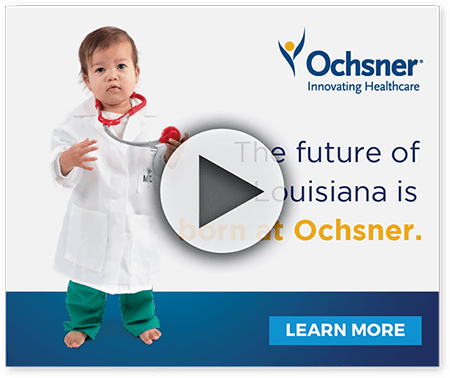 Make the most of in-room video capabilities and online distribution channels by producing videos that increase brand awareness, drive growth, and educate patients. 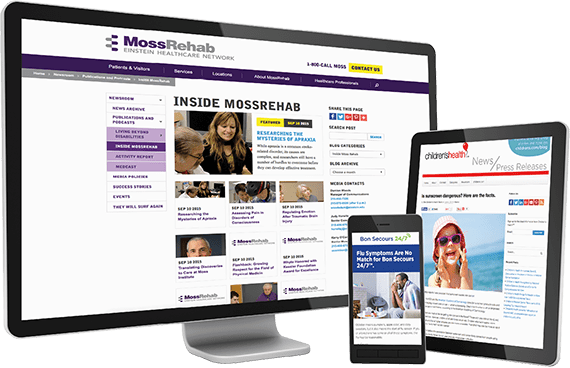 Form new relationships, deepen existing relationships, and increase institutional value with SEO-enhanced writing and intuitive web designs that are at home on all devices. OWB An html5-capable browser is required to play this audio.